Recently, one of our users asked us how to change the ‘Reply’ text in WordPress comments. By default, most WordPress sites have a reply button below comments so that users can respond to a comment. 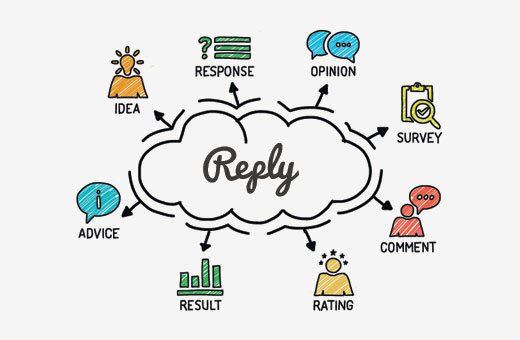 In this article, we will show you how to easily change the “Reply” text in WordPress comments. 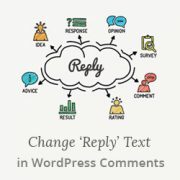 Why Change The Reply Text in WordPress Comments? Comments are an easy way to boost user engagement. There is a lot you can do to improve WordPress comments. For example, you can style your comment layout, change comment form style, comment text field to bottom, etc. The reply link below a comment is like a call to action. Just like any other call for actions on your website, language, colors, size, and placement can all compel users to click. By changing the simple boring reply to something more interesting, you can make it more prominent and attractive. Let’s see how to easily change ‘Reply’ text in WordPress comments. For this tutorial, you will need to add some code to your WordPress files. If you have not done it before, then you may want to take a look at our beginner’s guide to pasting snippets from the web into WordPress. You need to add the following code to your theme’s functions.php file or in a site-specific plugin. Don’t forget to replace ‘Change to This Text’ in the code with whatever text you want to use. That’s all, you can now view any post with comments on your website, and you will find the text you added instead of ‘Reply’. 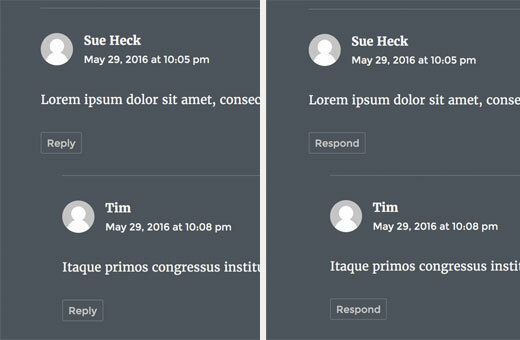 We hope this article helped you change the “Reply” Text in WordPress. You may also want to try these 11 ways to get more comments on your WordPress blog posts. Works like a Charm.Mostly I am taking help from https://www.wpbeginner.com. Its amazing site for WordPress. Can we replace the wordpress blog post comment style with woocommerce comment style? Actually, I want to use the woocommerce’s inbuilt review system. And I don’t want to install any custom review plugin as I am in love with my theme’s UI. Thx for the article, but it doesn’t work for me. I have copy and pasted the code in my child them functions.php file, but to no avail. Any suggestions? It doesn’t work for me. Replacing with “Leave a comment”))?> in comments.php did the trick. Why not edit the Language file? Language files are automatically updated, it is not recommended to edit them manually as those changes could get overwritten when an updated language file is available.